Welcome to the second week of the Mother’s Rule of Life book study! If you missed last week, you can find that post here. This week, we will be reading chapter 3 – The First P: Prayer. This is always the hardest one for me. I always feel that I should be doing more. I would love to have a more structured prayer life, but I didn’t choose to live a consecrated life and I don’t think that is the vocation that God wanted me to have. While I would LOVE to attend Mass daily, do Eucharist Adoration, attend a weekly, in-depth Bible study, this just isn’t the season for me to do that! Prayer helps to make us more available to his direct & personal intervention in our lives. When we pray, he will give us the strength & meaning needed to live our vocation. The power of Confession & the Eucharist. I was also reading Holiness for Housewives while working on this series and found some of the most freeing advice I had ever read. …if God wills that you should be bowed over the sink instead of over the pew of your favorite church, then washing dishes is for you, now, the most perfect thing you can possibly do. I also read this passage that inspired me as well. You can either pray your way into your working day or you can work your way into prayer. By the first, I mean saying a prayer before each duty, and so directing it toward God without further attention to it’s directly spiritual possibilities. By the second, I mean making a spiritual thing out of the work itself. Dom. 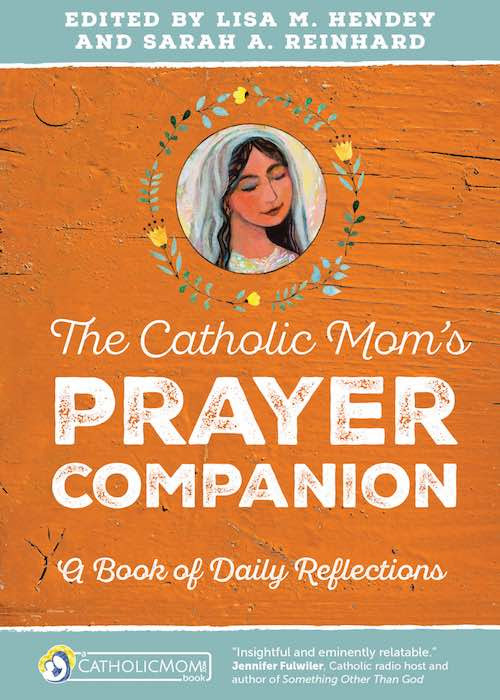 Hubert Van Zeller has a chapter all about working prayer into your day as a mother. If you get stuck, it’s an excellent book also. Very small, but very useful & practical. Anyway, in this chapter Holly has several prompts for you to try and discern what is practical to pray in this season of your life (pg. 50 & 51). She also has a sample page in the workbook, available here for free, called the Mother’s Liturgy of Hours. This week is mostly introspective work. Read and pray to try to discern what God wants for your relationship with Him at this point in your life. What do you feel an acceptable amount of prayer for your station in life? Feel free to include age of children & opportunities available to you that might help others. Do you have favorite prayer practices or resources? Something that can change your whole day perhaps? Please share! Next week, we will be discussing Person. I’m trying hard not to complicate things and JUST DO IT! I’m a master at procrastinating, in-depth planning and poor execution! For people like me, who pray very little or inconsistently, Holly recommends scheduling 5 minutes in the morning, 5 minutes at bedtime, and fifteen minutes sometime in the middle of the day. This sounds reasonable and won’t overwhelm me. Now, I’m just thinking about whether I want to get into the routine of reciting formal prayers or just praying from the heart. Perhaps a little bit of both… a Rosary in the middle of each day and personal prayers each morning and evening? That sounds like a good place to start. I COULDN’T HAVE SAID IT BETTER MYSELF! THIS IS EXACTLY WHERE I’M AT…PLEASE READ WHAT THIS BEAUTIFUL CATHOLIC MOM HAS TO SAY ABOUT THE JOURNEY WE’RE ALL ON…GOD BLESS! Yes–music is a Big help. It’s day 3 of my trying to pray with regularity and I feel it slipping already! No scripture based meditation this AM–just trying to care for the newborn and the 5 others. . .but we did pray a rosary last night–out of desperation born of battling small boys. By the end of it 2 of them were asleep! HAHAHA! I’ve gotten quite a ways into the chapter again. I really connected with how easily our prayer life slips away on us. I also find that the same notes I made in the margins last time apply now. I am not an early morning person so finding time will be tricky. One thing I did was play Christian music at times I was working in the kitchen or sewing etc so my thought life would be more under control/more positive. Now that Christmas music is away I need to pull more out. .-= Mary B´s last blog ..A Mother’s Rule of Life =-. I highly recommend Matt Maher (pronounced like car) and Steve Angrisano. If you are unfamiliar with either or both of these great artists, I would check out their web sites and give their music a try. Both of them are Catholic artists, Matt Maher’s “Your Grace is Enough” spent quite a while on the Christian top 40. He has collaborated with artists such as Chris Tomlin, Matt Redman, Brenton Brown, Hawk Nelson and has been touring with Michael W. Smith. Both are very inspirational and play great worship music! I find that if I start playing one of their CD’s (especially Matt Maher) my mind is instantly drawn to the Lord and my work becomes easier in that I’m not grudgingly doing it. Music really speaks to me so this always helps me a lot. There are a lot of other Christian artists that do this for me but Matt and Steve are my favorite. I also love Donna Cori Gibson’s rosary and divine mercy chaplet. Her regular music is also great. I am so thankful for this window into the lives of catholic moms beyond my community!! It is very refreshing to see such perseverance throughout our country on behalf of our Lord for the sake of the domestic church! Well done ladies! Okay, so kudos aside…I am a SAHM of 5 under 6, one in heaven…read the book once a year and a half ago and here we are again. 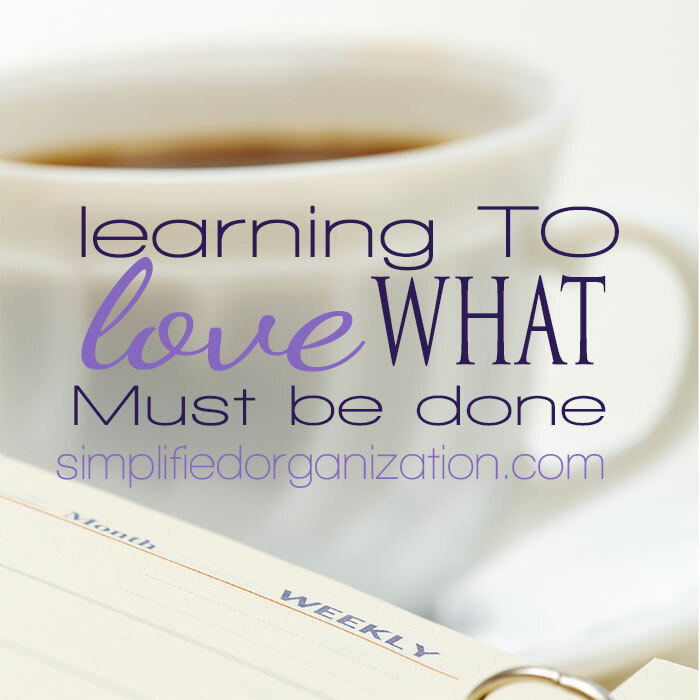 This book is a fantastic tool to gain perspective on such an overwhelming task. Our family is begging for order and so its my job to create it. But its sooooo unnatural for me! Sloth took up root and I have 20 plus years of bad habits to break while raising a family and embracing my vocation and doing all of it joyfully- holy cow! So, each day I begin again, consecrating it all to Our Lady and begging for the grace to keep moving forward. I am seeking opportunities this week for daily mass and or adoration. Also, more consistency with family rosary at night. Praying for you all! For those who do not have one, a fantastic resource called the Mother’s Manual should be a staple in your collection. Its a small book that has a companion called the Fathers Manual and each has prayers for EVERYTHING…ex: morning offering, prayer for pregnancy, prayer to conceive, prayers for adult children, prayers for marriage, prayers for a sick child, etc. Look for it at your local Catholic shop. I’ve seen different versions, some include an examination of conscience and mass prayers. All of the ones I’ve seen are pocket sized. Another part of P to consider if you haven’t already is having your home blessed and enthroned to the Sacred Heart of Jesus and Immaculate Heart of Mary. Consider as well St Louis De Montfort’s True Devotion to Mary as she is the one who is going to get us to Jesus as mothers! Keeping a blessed rosary on me at all times and praying it whenever I can has really been an asset to my spiritual life. Also, St Jose Maria Escriva writes about finding holiness through our work everyday…performing every task as a prayer unto the Lord. Blessed Theresa of Calcutta made a similar point also saying that every person she encountered and served wasn’t just like Jesus, but it WAS Jesus. So, seeing each moment in the day (especially mine with a baby, a toddler, two preschoolers and a kindergartner) as a prayer is just as beautiful and sanctifying as setting aside prayer time which can be hit or miss in my stage of life. It’s funny you mention the Mother’s Manual because someone at our mother’s group pulled one out during our bible study today! Some great ideas about consecration & such. We are reading the Apostolate of Holy Motherhood in our MIC book club right now… As I find complementary ideas, I’ll share them. Thanks again! Is the Mother’s Manual written by Fr. A. F. Coomes, S.J? Or is it the one edited by edited by Bart Tesoriero? I’ve been so blessed to have all you ladies taking this journey with me. I’m relieved to know that we all struggle! I’ll be praying that we all get the grace and help we need to do His will! Thanks for joining us! I just read the chapter today–and set up a note book just as she recommends. Though I have a control journal for household stuff, I like having a new book for this study. I was intrigued by her asking the kids to stay upstairs till she calls them. hmmmm. Maybe that would work here? Though the upstairs room are a bit cold now in Maine. I have scheduled 5 times a dayfor prayer, but am thinking I should cut back to 3 x’s a day just to make it realistic. I have read holiness for housewives in the past-and hope I can dig it up. I remember a great end of day examination and prayers. I’m looking for a good morning offering also. I’m excited to grab some time with my 14 and 10 year old girls to go over these questions with them. I have been trying to guide my teenager to a deeper relationship with Jesus but am at a loss. There seems to be a disconnect between faith/scripture and her real life. Maybe that is developmentally appropriate–but she’s my oldest and I’m scared to death of her loosing faith. But I know everyone has their own road to hoe–as Holly shares in her own reversion story, I just want to be sure I’m doing everything I can and should as a spiritual teacher to these children. When my youngest was born, i would pray while walking the mile loop in a park near our house. It worked pretty well for 6 months of the year anyway!